East Midland Coatings recently recognised three employees for reaching milestones in years of service to the company. 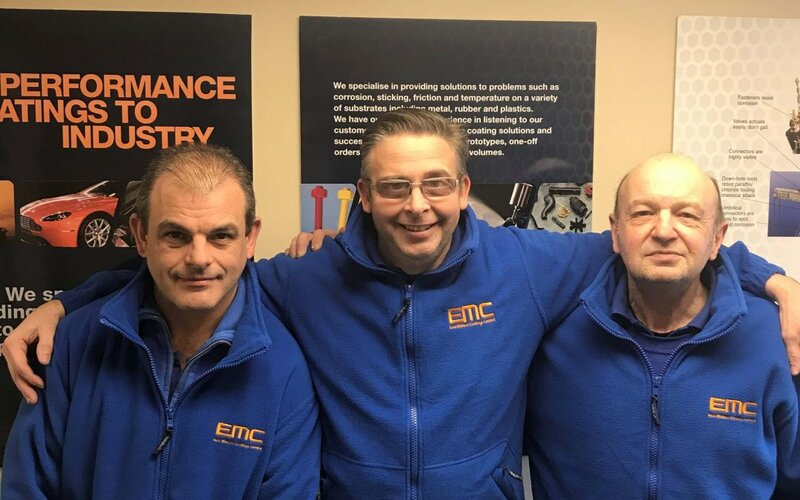 Darren Holyand (centre of picture) has devoted 30 years of service, Lyndon Davies (left of picture) a total of 28 years and Dave Lines (right of picture) recently passed the 20 year mark. These 3 men are among 8 employees with over 10 or more years of service to the company. This outstanding achievement by these individuals is a true representation of how we do business at EMC. These employees have demonstrated remarkable longevity to the company. We congratulate each of them on their continued commitment and dedication to East Midland Coatings. They have proven their ability to adapt and learn throughout the years and their combined wealth of experience is invaluable to EMC.